In the Mysuru Rally, he said that BS Yeddyyurappa is the future of the state and he is going to be the next Chief Minister of the state. On the Labor Day, he dedicated the historical achievement of the electrification of villages to the workers and laborers of the country. PM Narendra Modi said that all the villages in the country have been electrified and the congress contender Mr. Rahul Gandhi dubbed this statement as a naked lie. PM Modi also said that the former congress PM too committed to provide electricity to all the villages in India but he could not do so and his government accomplished the task. 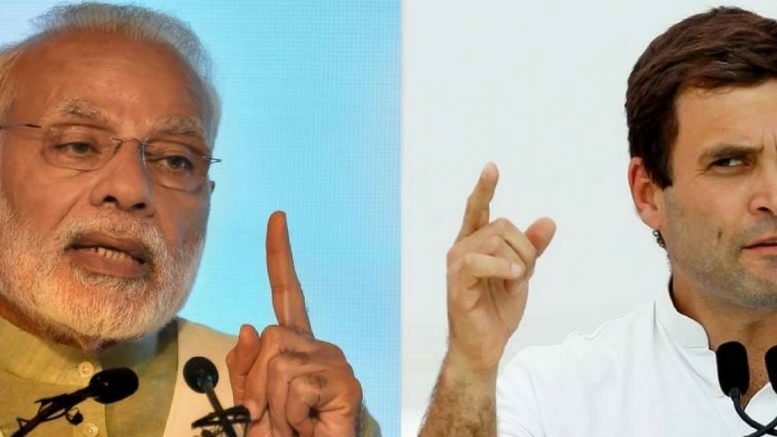 Rahul Gandhi had once challenged PM Modi that if he speaks for 15 minutes, PM Modi will not be able to stand in front of him. Today PM Modi challenged Mr. Rahul Gandhi to speak for 15 minutes without looking into any paper. Be the first to comment on "PM Modi challenges Rahul Gandhi to speak 25 minutes without paper"